It can be a tedious task, but nothing is worth risking safety of your baby! In order to baby proof your house, it requires some basic installations, equipment, and strategies to keep your child and home safe from injuries. Areas such as the baby’s bedroom, kitchen, and bathrooms are some main areas to consider when you’re considering safety. Making sure to baby proof your house ahead of time is essential. 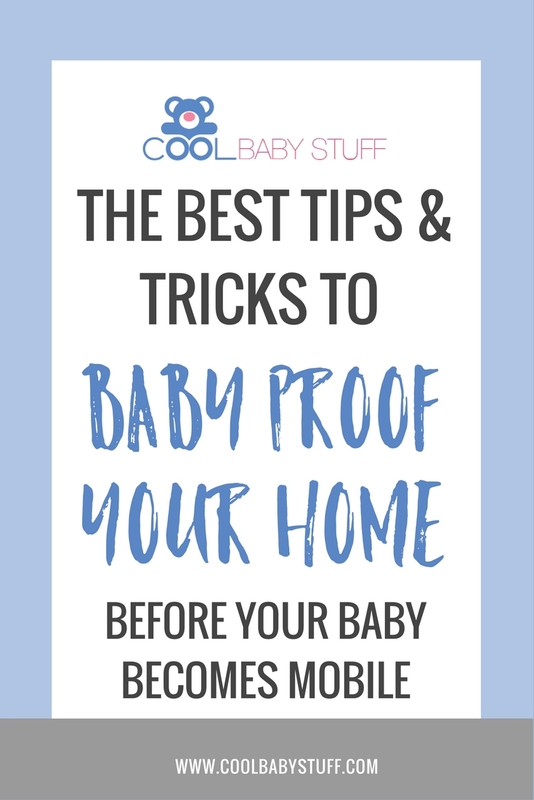 Baby proof your house before you baby becomes mobile, so that you don’t get caught off guard with not having time or the equipment necessary. 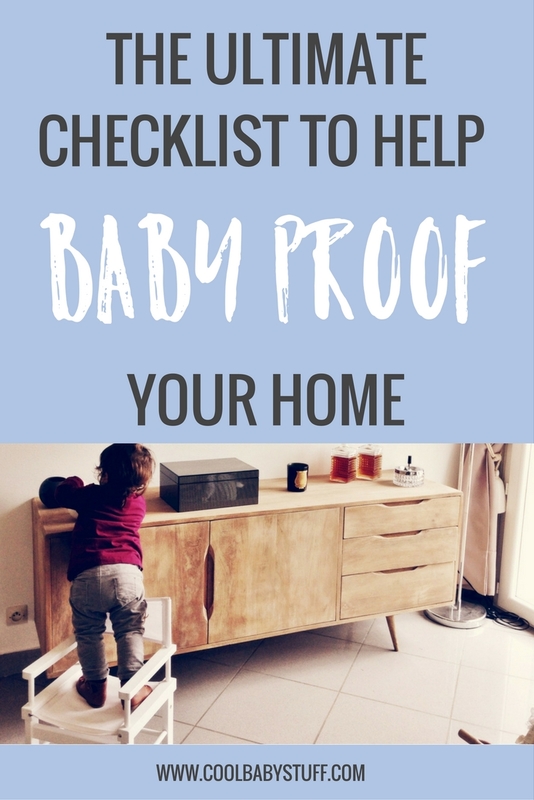 Here is the ultimate checklist to help you baby proof your house safely. Babies are curious and love to stick their fingers towards outlets. This is extremely dangerous, and can cause them to be electrocuted. Using safety plugs, or safety covers that snap shut is key to make sure their tiny fingers cannot access this area. Also any type of cord is something they might try to put in their mouth to chew. Move any cords/wires out of the baby’s reach. Once you baby is able to pull themselves up, it is time to move the mattress to the lowest position. Remove any type of mobile or bumper that the infant can use to climb out of the crib. First, no baby should ever be left alone in the bath not even for a minute as a baby can drown in minimal water! Second, to ensure that bath water is never scalding, set your water heater at 120 degrees or below. You can also put a soft faucet toy on to avoid any type of injury. Once babies can crawl, these are right at their vantage point. Opening cabinets is so easy, and fun (to them) because they are curious….but can be very dangerous! Places like the kitchen and bathroom can contain potential poisonous substances or sharp objects. These areas especially need safety locks/latches. However, installing childproof safety latches on all your cabinets is the safest option. Make sure any wall units are stable, as well as bookcases or tables. Once a baby can crawl and reach up you do not want these to topple over on them! If you have wobbly furniture, repair or remove it. If you have rug, make sure it has the nonskid backing on it, and any loose tiles or harmful chips/cracks in flooring should be taken care of. Be sure to remove pets food/water off the floor and out of reach for your infant. If you have a cat, move the litter box to an area far out of reach of the child. Also, any aquarium or tank also needs to be secure to prevent it toppling over on the baby. To prevent your baby from climbing or falling down the stairs, be sure to have gates handy for installation. This can become a quick area of interest once the baby is mobile. Plan to have a gate at the top and bottom of the staircase. Baby proofing your home often requires much more than you may initially think or plan…as the child grows so does their curiosity and mobility! Having safety measures in place will give you peace of mind and will allow your home to be a safe haven for you and your baby.